The relevant legislation for trademarks in Mexico is the Industrial Property Law and its recently amended regulations – the new provisions entered into force on 10 August 2018. In general terms, the amendments involve substantial changes to Mexico’s IP system in terms of trademarks and associated contentious proceedings. The introduction of both mandatory declarations of use and non-traditional trademarks was the most significant change. Nevertheless, regarding contentions trademark proceedings, it is also pertinent to highlight the opportunity to submit evidence and closing arguments within opposition proceedings. Likewise, the introduction of ‘bad faith’ as grounds for either invalidation or opposition is also significant. Under the amendment, it is understood that a trademark has been applied in bad faith when it is evident that it had been applied for, contrary to good use, customs and practices in the industrial property system, in commerce or industry, or that there had been an intention to obtain an undue benefit or advantage to the detriment of its legitimate owner. Similarly, when it comes to non-use cancellation actions, the required legal standing is proven by means of the citation of the disputed trademark registration. According to the new amendments, both the cancellation action and the motion requesting the Trademark Office to leave in abeyance the prosecution of the plaintiff’s trademark application will be filed within the two-month deadline (which can be extended for a further two months) granted in response to the citation. Should this not be the case, the applications would be considered to be abandoned and the cancellation action dismissed, making it necessary to re-file and wait for the disputed trademark registration to be cited again in order to lodge the cancellation action and request the abeyance of the relevant application one more time. Finally, statutes of limitation for invalidation actions on different grounds have been changed or added, according to the existing and new actions under the amended law. All actions with a statute of limitations have been standardised to five years, therefore removing the previous three-year term which was applicable to invalidation actions based on, among other things prior and continuous use of a trademark in Mexico or abroad. The Industrial Property Law provides a set of grounds for invalidating or cancelling a trademark registration, as well as for filing an infringement action associated with any unauthorised use of a registered trademark or other industrial property right. As such, a trademark registration is subject to cancellation by means of a cancellation action on grounds of lack of use when it has not been used for three years from the cancellation action’s filing date. Before the amendments, if an owner could prove use of its trademark registration for at least one of the protected goods, that was considered enough to keep the registration. However, this is no longer possible. Since 10 August 2018, partial cancellations have been allowed. being granted against the provisions of the Industrial Property Law. Moreover, the core element of a trademark infringement action is the unauthorised use of a registered trademark or a confusingly similar one. The Trademark Office (as well as any other Mexican authority) must always look for a non-contentious solution between the parties. Thus, even though rare, mediation and arbitration could be used provided that all interested parties agree. Trademark infringement actions are filed before the Trademark Office located in Mexico City. The office is competent to hear and decide any trademark infringement action, regardless of the amount in dispute, if any. This is considered the first instance for every trademark infringement case in Mexico. There are specific branches of the Trademark Office across the country, but they are used only as correspondence offices, merely acknowledging receipt of motions, pleadings or requests filed by parties and sending them on to the Mexico City headquarters for analysis and decision. Depending on the complexity of the case, the Trademark Office may take from 10 to 18 months to render a decision from the filing date of the initial pleading. There are no jury trials in Mexico. The Trademark Office is the industrial property expert authority by statutory provision – the analysis and decision of every trademark infringement case at national level is among all its responsibilities and duties. This particular duty relies on the office’s head of litigation, who is responsible for analysing and rendering a final decision in each trademark infringement case. A trademark infringement action will be installed within two years of the date on which the relevant trademark owner became aware of such illegal acts. In case the trademark owner fails to lodge an infringement action before the Trademark Office within such a period, the action will be considered lapsed. an order to close the establishments in which the infringing activities were performed, only if the abovementioned measures were insufficient to stop such activities. provision of information necessary to locate the infringing products or services, as well as their associated establishments. The infringing party has the right to provide and file a counter-bond to avoid or cease preliminary injunctions. However, if no counter-bond is submitted, the applied preliminary injunction will remain in force until the case is finally decided. Additionally, the Trademark Office considers the seriousness of the infringement and the nature of the interim injunction when deciding to implement an injunction and to determine the amount of the relevant bond or counter-bond. Trademark owners are entitled to collect damages from the infringing party only if the decision issued by the Trademark Office officially declaring the infringement of the trademark rights raises res judicata. This means that such a decision, in case it is appealed, will be confirmed by each subsequent court. Once that happens, damages could be collected by the trademark owner. For that purpose, a civil action – which would be filed with the competent civil court – will be initiated in order to determine the amount to be paid as damages by the infringing party. According to the Industrial Property Law, trademark infringement damages will never be less than 40% of the infringing goods’ sale price. This civil action implies a new trial comprised of three different instances. Once the relevant ruling raises res judicata, the judge compels the infringing party to pay the trademark owner the amount determined as damages for the infringing activities. damages that might be collected by the plaintiff (once the case has raised res judicata) only if the civil action for that purpose is initiated as above. According to the Industrial Property Law, all sorts of evidence which are not contrary to the morality or the law are allowed (eg, expert opinions, reports and documents). Nevertheless, witnesses are not accepted by the Industrial Property Law unless their testimony is contained in a written document. Likewise, even though it is allowed, it is unusual to offer expert opinion as evidence within a trademark infringement case. As any other contentious case, the review of the complaint and gathering of evidence should be conducted carefully. According to Mexican practice, initial investigation is crucial for a trademark infringement case. It is important to get all the available information in order to determine the best strategy possible. Each case has its own challenges, but has in mind that the plaintiff submits all the evidence along with its complaint (late filings are available under very specific circumstances) – the fact of submitting the suitable information and evidence is decisive. Identifying the documents that may be useful within an infringement case is also essential. It is important to verify that the relevant documentation meets all legal requirements to be properly considered evidence by the Trademark Office. Documentary evidence has intrinsic weight in these kinds of dispute. Thus, having complete knowledge of its content and verifying that all applicable legal formalities have been met is fundamental to a successful case. Under the scope of the Industrial Property Law, trademark owners are entitled to ask the Trademark Office to request information from third parties to confirm and verify the compliance of provisions. Therefore, given that protection of trademark registration is one of the main mandates of the Industrial Property Law, it is possible to request third parties to provide some specific information regarding the infringement of a given trademark registration through the Trademark Office. In case the requested party fails to provide the information on or before the deadline set by the authority, that omission constitutes infringement in terms of the Industrial Property Law and an ex officio action might be initiated against that party. The Industrial Property Law provides the right for trademark owners to request the Trademark Office to conduct inspection visits with the aim of confirming and reviewing whether there is any activity infringing IP rights. Everything witnessed by the designated officer during an inspection must be included in the official record in order to have legal effect and be used as evidence by the interested party. A trademark registration is ineffective against an individual or entity that applies its own name or its company or business name to goods or services. The name is added to the form in which the individual or entity is accustomed to using, with features that allow the trademark to be clearly distinguished from a homonym already registered as a mark or published as a trade name. A trademark registration is ineffective against a third party which, on a good-faith basis, uses an identical or confusingly similar trademark in national territory for covering identical or similar products. Such third party must have used the trademark in an uninterrupted way before the filing date or the declared date of first use of the trademark registration. In this case, the third party has the right to apply for the trademark registration of its sign within three years after the prior trademark registration has been published, in which case, the third party can file a cancellation action. A trademark registration is ineffective against any party that legally introduced the infringing product to Mexico, provided that such product was obtained by the legitimate owner abroad. an appeal to be heard and ruled by the IP branch of the Federal Administrative Court – this will be considered the second instance and is available for any decision issued as a result of a petition for review before the Trademark Office. Finally, any ruling issued by the IP branch of the Federal Administrative Court is subject to a final appeal (known as an Amparo appeal) which is analysed and decided by a Federal Circuit court. In general terms, no additional evidence can be submitted after the first instance unless under specific circumstances. This is considered the third and final instance within a trademark infringement case. Thus, any ruling issued by this court will raise res judicata in terms of what is explained in connection with the opportunity to collect damages from the infringing party. Israel Escobedo has been with Dumont since 2009. He started as an attorney at law in the civil, commercial and criminal department, and is now the firm’s head of legal. Mr Escobedo’s professional practice is focused on supervising and caring for civil, commercial and criminal issues in all procedural stages from injunctions to constitutional appeals. He has more than 12 years’ experience in the field and has previously worked with law firms specialising in litigation. 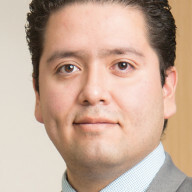 Jonathan Rangel joined Dumont in July 2012 as an IP lawyer and today he is the leader of the IP litigation team. His professional practice focuses on the protection of IP rights, particularly trademarks, patents and copyrights. Other aspects of his practice include counselling on IP contracts, general IP matters, licensing, well-known and famous brands, sports law, administrative law and constitutional law. 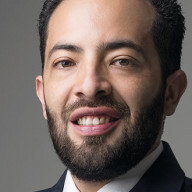 Mr Rangel also represents clients in alternative dispute resolution proceedings at the World Intellectual Property Organisation. As IP litigation manager, he is responsible for managing company-sponsored litigation. His international clients are market leaders in the pharmaceutical, consumer healthcare, household appliances, clothing, furniture, and food and beverages sectors.